Are there good exercises for hand and finger independence for beginners. I am a beginner, and am having difficulty with the bar pasted below. 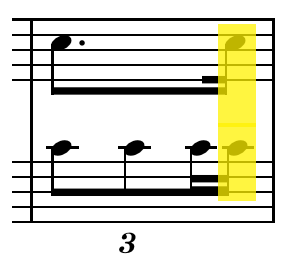 There is a triplet subdivision in the bass notes, and 16th note subdivisions of the beats in the treble notes. I struggled in the past with subdividing a given beat into smaller ones such as 8th notes and dotted quarter notes in the past. This is the first piece that requires me to do a triplet subdivision in one hand, and a 8th/16th subdivision in another hand. I am unable to clap this rhythm, and would like to know how to get the feel of this rhythm down. Are there good exercises for developing rhythmic independence in both hands? I don't know of any specific exercises to improve hand independence, but may I suggest polyrhythms with one rhythm per hand? In terms of conceptualisation, they're difficult, and erquire one to be able to play with both hands disjunct. You can also try to "hear the beat in both ways" (ie. 3 even beats, then 4 even beats) for extra challenge. There is a special approach to 4:3 rhythm in African music, but I will try to answer with a Western, classical approach, because that seems to be the style of your notation example. You basically need each hand to get 12 subdivisions of the bar so you can get group by 3 and 4 in each hand. Then we see exactly where the RH notes fall in the counting. The trouble is whether the triplet figure in your example is a tuplet in a duple meter or if the meter is actually compound like 12/8. If it's 3 8ths in the bass in compound meter, I think it's easier to manage the counting, because the e in the right hand is just an even 16th note subdivision of the basic beat. If the meter is duple, the triplet will have a hemiola feel, which to me feels like a kind of stretching or squeezing of the tempo. That makes it harder to get the timing of the e in the right hand precise. The overall tempo becomes an issue too. If you actually count this precisely, those notes are being counted at a 32nd level of subdivision. If the tempo is allegro that's really fast! ... the count would be 1 2 3 +. Again, that isn't mathematically correct, but if you keep the beat steady and the RH 16th comes between the LH 3 and 1 of the next bar and it is more or less correct. My understand is historically Baroque and Classical era performers would have done it this way. Or, they would have place the RH 16th at the same time as the LH 3. ...you can play around with the chords of that pattern. Try seventh chords, change the mode to minor, use an exotic mode, break out to form a half cadence, etc. Absolutely use a metronome! If you don't, your tempo can easily drift. Again, I'm just starting to practice these rhythms myself. I'm not a teacher. But, everything above has helped me a lot. If you take a look at Michael's chart, you will see that the RH 16th note comes very quickly after the last note of the LH triplet. When played strictly, this can sound rather militaristic. Many times, rhythm is more about the relation of the notes to one another than an exact mathematical division. It is important to look at the music and understand the function of the notes, which will aid in knowing how to play the rhythm. In a strict polyrhythmic setting, mathematical exactness is essential, but this piece of music doesn't fit that. Polyrhythms are not really for beginners. If you are regularly playing polyrhythms, even 3:2, as is found in a lot of Chopin, I would consider you to be at an intermediate level. 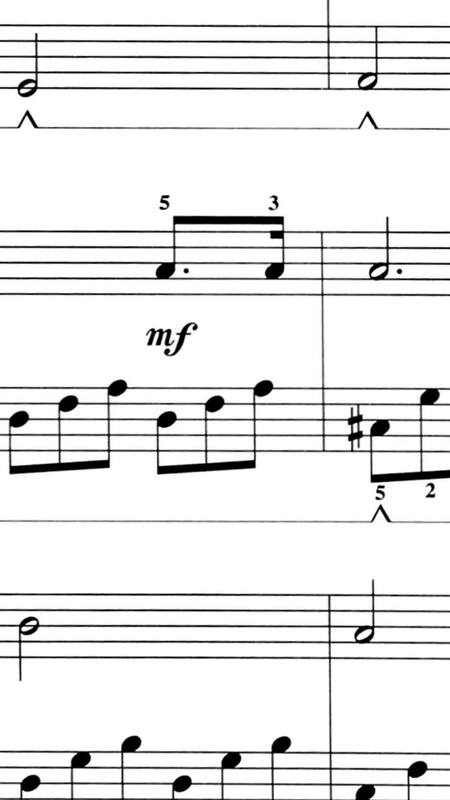 You can find some more 4:3 in certain Clementi Sonatinas. Chopin's Fantasie Impromptu is saturated with polyrhythm, both 4:3 in the fast sections and 3"2 in the slow section, but that is a difficult piece. The Brahms 51 Exercises are full of polyrhythms. Sing each part. Tap your foot when you sing them. Conduct a bar and sing as you conduct, then conduct the rhythm while maintaining a beat with your foot. Go for a walk and keep a steady foot pattern and sing the syncopated rhythms over each beat of your step. This is the best thing you can do. I understand that you want to make this a cerebral exercise but once you get it into your heart and soul, your sinews, your gravity and voice, your ear and thought, your movement of daily living, it will be yours forever. Sing everything. Don't squander a single footstep. Walking to the kitchen is rife with musical opportunity. There is music in everything. Especially gravity. Dancing, conducting, playing, head bobs, pausing for a downbeat, it is all gravity (and challenging gravity). There is nothing new age about that, it is the laws of physics. Gravity is the most musical force you will ever encounter (and challenge). Go with gravity and breath with and against it. Then your poly rhythms and syncopations will quantize themselves. Not the answer you're looking for? Browse other questions tagged piano beginner hand-independence or ask your own question.